You see belt bags everywhere these days - at the mall movie theaters entertainment parks on joggers. Our 16" x 6" x 4-1/2" soft leather waist bag features 5 different zippered areas including 2 located on the strap area to hide emergency money. Carry your wallet cellular phone sunglasses credit cards maps and other items as close to you as you can get without wearing them next to your skin. Strap will adjust to a maximum of 48". 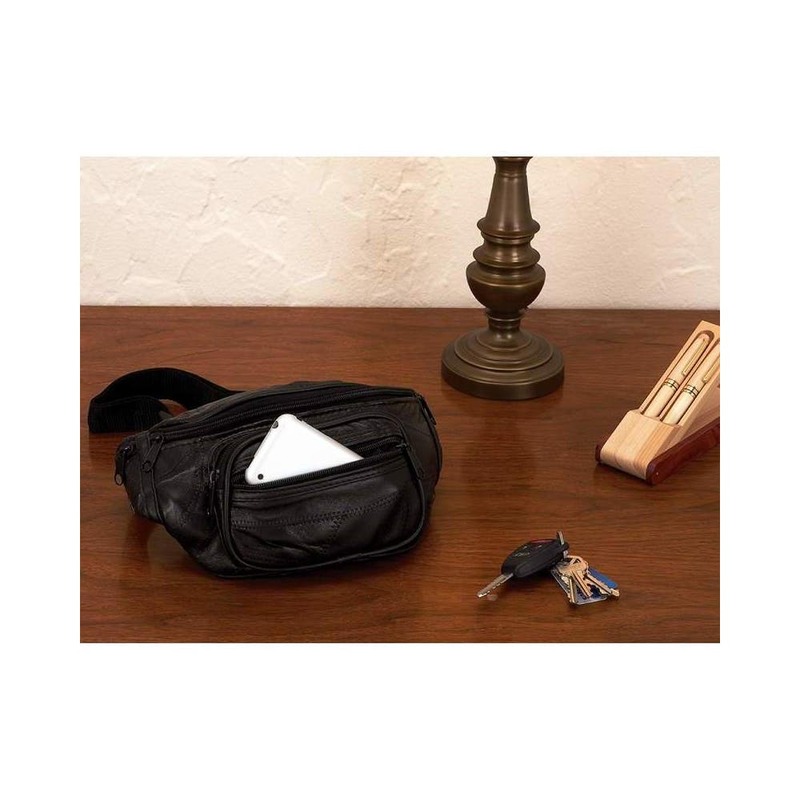 Our 16" x 6" x 4-1/2" soft leather waist bag features 5 different zippered areas including 2 located on the strap area to hide emergency money. Strap will adjust to a maximum of 48". Strap will Adjust to a Maximum of 48"
Measures 16" x 6" x 4-1/2"